Many Pawleys Island in-home dementia caregivers find that buying a present for a person with dementia can be challenging. If you have this problem, then consider these six thoughtful presents. In addition to being thoughtful, they are also incredibly useful for your loved one. Many seniors enjoy carrying tissue around with them. Therefore, pocket tissue can make a great stocking-sized gift. Make it a little extra special by giving your loved one a decorative holder to put the tissue in. Lap robes are a great solution if your senior loved one is always cold. That way, every time that he or she puts the robe over his or her lap, your loved one will think warm thoughts of you. Some seniors have the opposite problem as they are always too hot. If your senior has this problem, then consider giving him or her a personal fan this year. Consider those with soft blades so that your loved one cannot get hurt if he or she sticks his or her finger in the wrong place. Some seniors have trouble seeing to read anymore, so they may enjoy a subscription to an audio book service. Many of these services allow seniors to order up to three books and then simply drop them in the mail when they are done. There are many simple crafts that seniors with dementia can still do, especially with help from in-home Pawleys Island caregivers. Look for those with simple repetitive motions. Knitting looms are great, as are leatherworking kits. Depending on the level of mental function, wood-burning kits are a gift that guys may enjoy. Many seniors will enjoy messing with a Rubik’s Cube even if they can never solve the puzzle. Moving the pieces can be a great way to get rid of their agitation and exercise mental function. 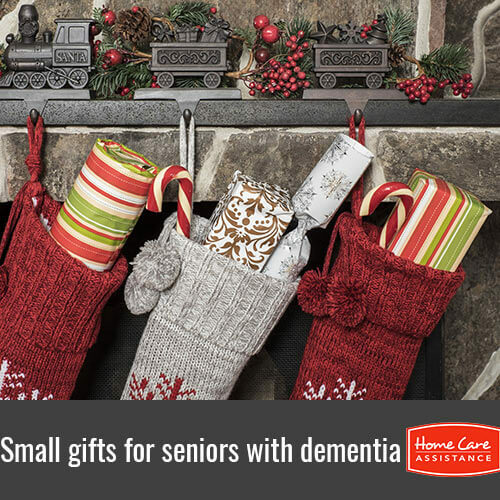 These six thoughtful stocking stuffers for seniors with dementia are all things that they might enjoy. The gift that they will enjoy the most, however, is spending time with you. To get more out of your time with your senior loved one, turn to Home Care Assistance. 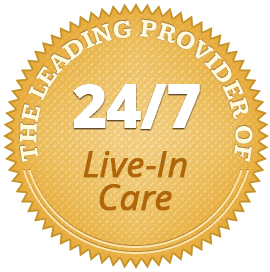 We provide flexible live-in and hourly elderly care Pawleys Island families trust to help seniors with dementia age in place with confidence. Call (843) 353-3105 today to schedule a free consultation with a reliable dementia caregiver.